← Where was this store located? This entry was posted in Advertising, original G.I. 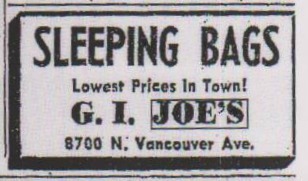 Joe's store. Bookmark the permalink.